There have been two recent En Banc decisions issued by the WCAB regarding the suspension of privileges of 2 separate hearing representatives, specifically lien representatives, which suspended their privileges of appearing for any party before any WCAB. The suspensions ultimately are for failure to pony up sanctions that had been levied against the representatives. While that may seem like “shame on you,” on its face, you have to look at the underlying cause for the sanctions as well. In the case against Javier Jimenez, Jimenez had been sanctioned several times, curiously by the same Judge. However the basis for those sanctions were pretty much along the same line of reasoning; being unprepared or pursuing non-meritorious claims that cause unnecessary delays in the proceedings. I have written blogs and conducted webinars on the topic of being prepared, which starts with the clients. If the providers don’t arm their representatives with documentation, the evidence to carry their burden of proof, then the expectation of them attending a hearing on the provider’s behalf and being prepared is a nullity. It is no mystery that the old school game of pushing for further hearings or trials with the hopes of getting more money is no longer a viable approach as outlined in another En Banc decision from 2012 Tito Torres v. AJC Sandblasting. The important thing to keep in mind in regards to sanctions against hearing reps is the sanctions were not only imposed on the rep, but also the providers which they represent. 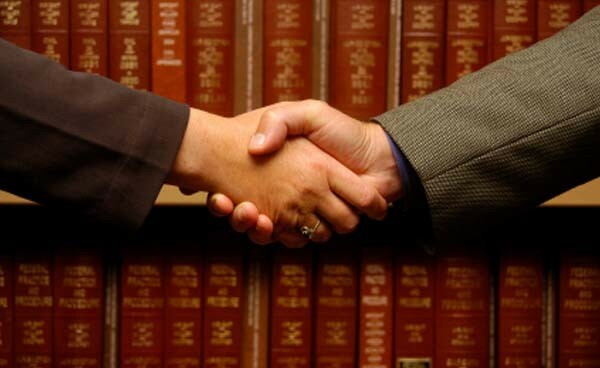 Additionally, lien representatives operate at the instruction of their clients. So when the lien rep calls their client and tells them what the issues are, what the risk is, as well as any advice and the client doesn’t want to hear it or follow any advice and continue to move forward, it is not only at their own peril but also the peril of the representative as well as their professional reputation. The safeguard they have is that the rep is whose privilege could possibly be suspended and not the provider. The rep didn’t file the lien or gather the documents in the providers file, yet they are the last line of defense and when at the WCAB, when the documentary evidence is not there to validate your claim, it is the rep who feels the wrath of a Judge. While it is completely understandable that providers have an outlook that they provided services and/or goods and they should be paid for those services, that isn’t a legal argument. The two recent En Banc decisions have made it less ambiguous that the WCAB is cleaning up it’s act and asserting a more professional atmosphere. Attorneys are held to a standard by the State Bar. Previously, there was no regulatory oversight for hearing representatives. The WCAB has made it clear that non-attorney representatives are held to the same professional standards as attorneys at the WCAB, which is a court of law, and the WCAB is providing the oversight for those non-attorney agents. It is apparent that some lien claimants and some lien representatives still subscribe to the “good ol’ days” of the WCAB. It isn’t the big production of say Superior Court or even Municipal Court. It is much more informal, but it is still a legal venue. In days gone by, they weren’t called Judges, they were Commissioners. Courtrooms aren’t set up with a big dais where there is a Judge in a black robe sitting above everyone else looking down. There is no bailiff. The only time the Judge wears a robe is when they are on the record conducting a trial. But you still address them as Your Honor or Judge, even when in their chambers or in the hallway. The “courthouse” for most WCAB offices is an industrial building and all the “courtrooms” are what would be offices. They are filled with attorneys and hearing representatives discussing various cases and they all seem to know each other. Yet, it is still a place of respect. Not only respect for the other parties to a case and respect for the Judge, but respect for the legal process, for the rules and regulations and respect for the court. There is of course a flipside to those lien claimants that push for trial that may perhaps have a legitimate case. As there are also agents or representatives that would prefer not to go to trial, perhaps out of fear or maybe just lack of experience. It can be intimidating. When you go on the record for a trial, that is when things “get real,” the courtroom is cleared, Judge is in a robe, there is a court reporter, you have to have all your evidence organized, know when to object and on what basis. A non-attorney is up against an attorney that went to law school, knows the rules of evidence, all the legal objections and it can be intimidating. However, most Lien Trials are essentially submissions of evidence and if there is a witness, it is most likely a bill reviewer. I have seen even experienced hearing representatives at lien trials, basically just sit there. Never make an objection to any evidence, never question the bill reviewer about their qualifications (most aren’t actually Certified Bill Reviewers rather Certified Professional Coders), or plant any seed of doubt into the accuracy of their bill review. But they were there, they are on the record as appearing at the lien trial and they fulfilled their obligation. Keeping in mind that it is actually court; is the lien rep being a strong advocate for their client? Most providers have never been to the WCAB, much less a trial, so when they get the Minutes of Hearing/Summary of Evidence and a subsequent Finding & Order with Opinion on Decision, it seems like they did what they could and the Judge made their decision, but at least that had their day in court. It is vital, now more than ever, that whether a lien claimant/provider or their hearing representative, that employing old school tactics and not being prepared on either end or displaying a lack of professionalism does have it’s consequences and the WCAB is conveying that with sanctions as well as suspension of privileges.